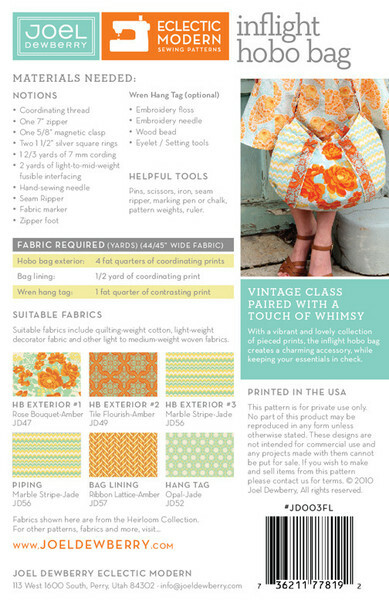 Vintage class paired with a touch of whimsy. 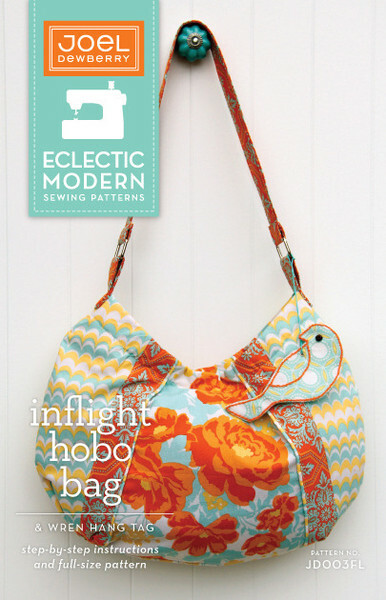 With a vibrant and lovely collection of pieced prints, the inflight hobo bag creates a charming accessory, while keeping your essentials in check. 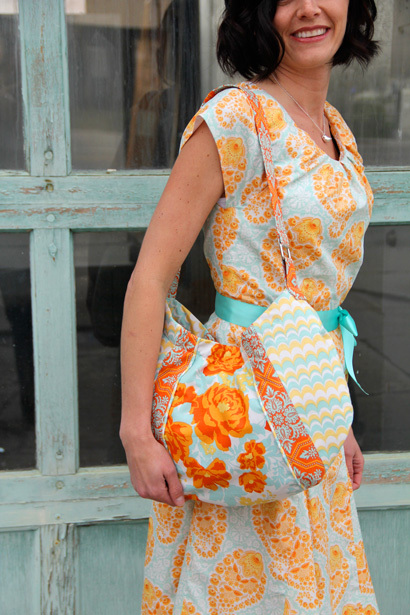 Joel Dewberry's Inflight Hobo Bag & Wren Hang Tag sewing pattern includes step-by-step instructions and full-size pattern pieces. Notions: Coordinating thread, one 7" zipper, one 5/8" magnetic clasp, two 1 1/2" silver square rings, 1 2/3 yd. of 7mm cording, 2 yd. light-to-mid-weight fusible interfacing, hand-sewing needle, zipper foot. For the wren hang tag, have the following on hand: embroidery floss, embroidery needle, wood bead, eyelet and setting tools.